Simplicity-it's the only ingredient that should be in every vegetarian recipe. When you're short on time, low on ingredients, or cooking for omnivores and carnivores alike, The Simply Vegetarian Cookbook stocks your kitchen with the easiest, everyday recipes that anyone can pull off, any day of the week. This vegetarian cookbook features recipes grouped by type of cooking ease. 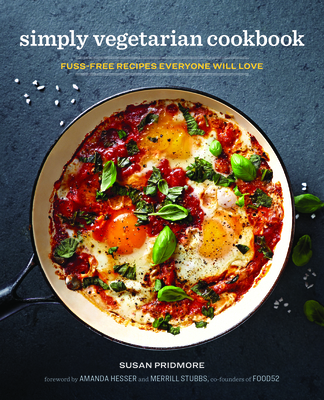 From 5-Ingredient to 30-Minutes or Less to One Pot recipes, The Simply Vegetarian Cookbook allows you to decide what to cook not only by what looks good-but also by what's the easiest for you.